Sercon are pleased to launch our new Reference Material. Bitumen, alternatively known as asphalt or asphaltum has been added to complement our range of hydrocarbon reference materials, that includes coals, cokes and oils. It is available as a fine powder, certified for C,H,N, O and S content - values traceable to NIST primary standards. It is rarely possible to both save costs and improve analysis in laboratories both at the same time. But that is exactly what you get with our new range of lightweight silver capsules. The cost saving is obvious, silver is an increasingly costly commodity, it is priced by weight so any new product that uses a lower weight of silver must be cheaper to manufacture. And it is that cost saving that we can pass on to you, the customer. Equally all experienced analysts will recognise that the build-up of ash from the combustion of the sample in its silver capsule leads to instrument down time for maintenance, less silver means less ash, means less downtime, means lower cost per analysis. In addition, longer periods of stable instrument operation prior to down time for maintenance, leads to more consistency in results. VLI supply consumables of the highest quality for all isotope ratio monitoring mass spectrometers and elemental analysers. Our unique approach of providing the highest possible quality at the most competitive prices means that now all users can benefit from our products. 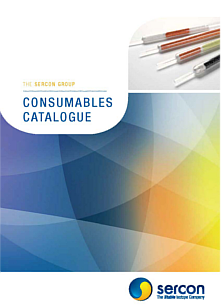 All consumables supplied are of the Sercon brand. The Sercon brand is a guarantee of product quality. Sercon branding means that the products have passed our rigorous quality assurance tests and are of the highest quality available for isotopic and elemental analysis. We constantly monitor the analytical performance of our consumables on our range of IRMS instruments for on-going quality assessment and to ensure all consumables are isotope grade material. All Sercon products are of an equal or better quality to those supplied by the OEM. Our products are produced and tested in an ISO17025 accredited laboratory. We hold full approval to the latest ISO standard 9001:2008. In order for the whole scientific community to benefit from our consumables, we ensure that our prices are very competitive and we aim to offer the lowest prices for products of the highest quality. We offer a comprehensive product range with more than 2000 products covering a range of elemental analysers and mass spectrometer instruments. Our product range includes capsules, glassware, reagents, catalysts, standards, crucibles, O-rings and seals and much more. We can even provide custom items for your specific research requirements.